Imagine receiving the devastating news that your beloved family member, your pet, has been diagnosed with one of the most aggressive and deadly cancers: hemangiosarcoma. This is exactly what happened to Faye Silverman. Twice. 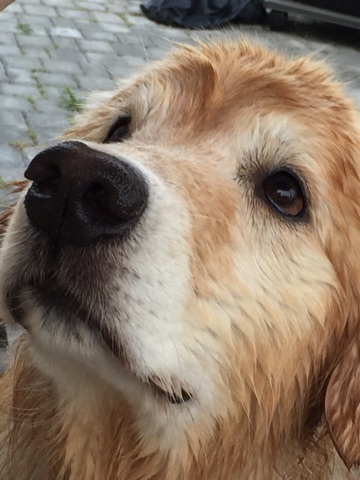 After losing her beloved golden retriever, Joey, to hemangiosarcoma of the heart, her other dog, Nicky, was diagnosed shortly after with lymphoma and hemangiosarcoma. Broken-hearted, Faye decided that she could no longer stand by and watch helplessly as her family members lost their lives to this terrible cancer, so she decided to do something about it. 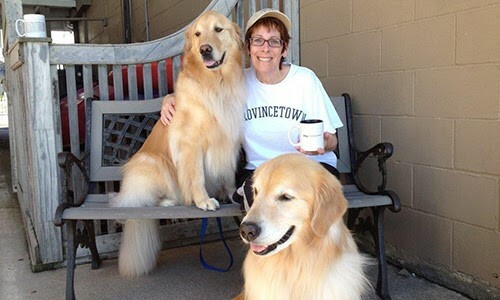 Faye created A Golden Wish, a custom apparel line that features and honors golden retrievers, and provides a way for fans of the breed to make an impactful difference in the lives of golden retrievers everywhere. 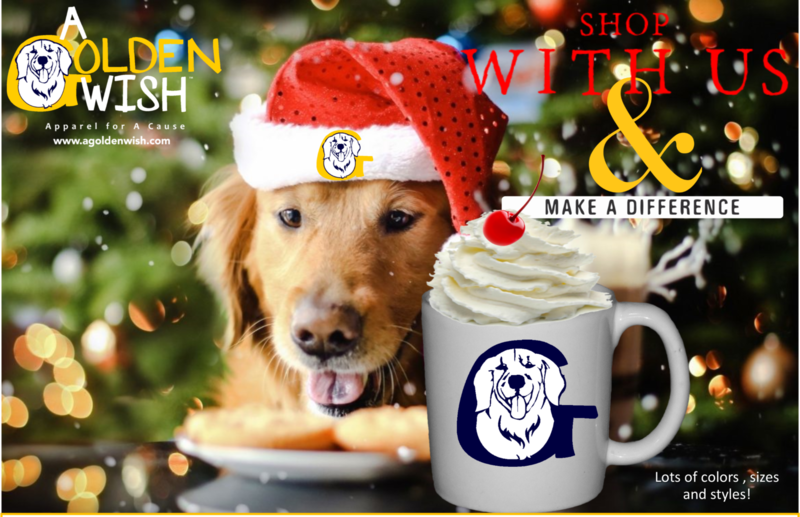 In an effort to increase their impact and honor dogs that we have lost, A Golden Wish donates 10% of each purchase to Morris Animal Foundation’s Golden Retriever Lifetime Study. Through this study, researchers are working to better understand, prevent, and treat cancer in golden retrievers and all dogs across the country. Morris Animal Foundation is grateful for Faye’s commitment and hopes it inspires others to support Morris Animal Foundation and their many cancer studies. And for only one more week, donations to this campaign will be matched dollar-for-dollar. This means your gift will go twice as far to help animals struggling with cancer. Cancer can be defeated. You can Morris Animal Foundation and A Golden Wish change it from a mere wish to a remarkable reality. Please Note: When you donate to Morris Animal Foundation through A GoldenWish, 100% of your donation goes to Morris Animal Foundation.